It’s been a while since I last tested a pattern. Moving states, summer, reunions, and taking care of kids have taken my time leaving little left for pattern tests. But my move is done (mostly-all the essentials at least) and school is back in session! (Remember the Dill Pickle Tees and Alpine Pants I made for back to school?) So when I saw the Tulipa Dolman I knew I was ready to test again and this was the perfect pattern to start with. This was my first pattern and pattern test from Sew Like My Mom and it really went very smoothly. I tested view A of the Tulipa Dolman, which is the most basic version. A long sleeve t-shirt length top. But the Tulipa Dolman also has tunic and dress options as well as gathered versions of all those lengths as well as large pockets. 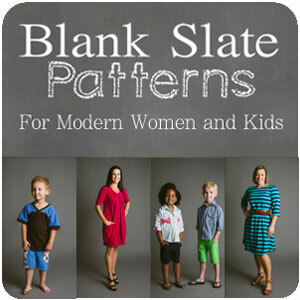 The full range of sizes are divided between two patterns, but sizes 6,7, and 8 are in both ranges. I worked off the size 6-16 file. Overall, the pattern looks good. The grading looks even and logical for the most part. Sizes 6,7, and 8 visually stand out a little from the other sizes even though they are nested with the others. I’m told that is because they are copied over from the smaller size pattern which has different grading rules. Most corners are trued or nearly trued although the yoke has a rather crazy angle where it connects to the bottom. The instructions explain that the pieces match up at the seam line and they do, I just love when patterns have those evened up so you can just match it up perfectly and easily. My version of the Tulipa Dolman fit as I expected a dolman top to fit. Loose fitting through the torso, but not baggy. The long sleeves are more relaxed than the Deer Creek Dress and Tunic-which is the only other dolman pattern I have. You can see a shirt version I’ve made in my Etsy Shop. Nut#2 says the Tulipa Dolman is very comfortable and was so excited when she saw the shirt. Despite not loving the fabric when it came in the mail. BTW, the purple fabric is Tiny Tweed from the Girl Charlee Homestead Life BOLT collection. I really like it and am trying to be very strategic with how I use it even though I bought 3 yards…The top part of the Tulipa Dolman is Navy even though it looks black. I had to compare it to my black at least 4 times to reassure myself I had indeed selected my navy fabric. I bought it from Simply by Ti. Both fabrics are cotton lycra with 95% cotton and 5% spandex, although the Tiny Tweed is slightly thinner. Nut#2’s chest put her as a size 6, but her height put her at a size 7. So I made a size 6 graded to a 7 length. The only other adjustment I made was to the neckband. Although a pattern piece is included for the neckband, it measured less than 80% of my neckline and I saw puckering in fit photos from people who finished before me. So I cut my neckband to 80% of the neckline instead of using the neckband piece. In the future, I will also narrow the neckband slightly since it looks a bit wide. I LOVE the curved color blocking of the Tulipa Dolman! It reminds me of a pattern for wovens I bought and never reviewed because I was too irritated with it to think straight. I can see myself making a lot of these and playing with wovens in the bottom portion. I really like the Tulipa Dolman and won’t hesitate to make it again. I’ll probably try to fit into the size 16 even though it’s not drafted for all my curves because it’s loose fitting and I really like the curved color blocking. Dislikes or desired changes? I’d like to see Grain Lines on the pattern pieces, the neckband a little longer, and the pointy parts where the yoke meets the bottom bodice squared off. Would you recommend it to others? Yes. I really like the style and the pattern is drafted pretty well. This is a cute top, and I love nut 2s little smile. Did I tell you about the time I did her hair for church when your kids were staying with us? I braided Nut 2s hair just like this ( no elastic on top, just one at the bottom) and she ran from the room bawling, oops! 😳 Apparently she did not think I was a very good stylist, lol! Needless to say, it was no longer braided when we went to church .